A little bit about travelling in Turkey. When arriving in a new country its good to be prepared and know what to expect. Following below are some commonly asked questions and helpful information. If you don’t find answers you are looking for just send us a quick email and we will be happy to assist with anything you need to enjoy your time in Turkey. If you need any advice on planning your trip don’t hesitate to call, email or send us a message for a quick response! FAQ 1 - Do I need a visa to enter Turkey? FAQ 2 - Which currency do I use during my stay? The official currency in Turkey is Turk Lirasi. Euro and US dollars are widely accepted in tourist areas but not so much in smaller towns and villages. There are ATMs cash withdrawal points ion Istanbul and other major towns. Money change offices are plentiful in Sultanahmet. Most do not charge commission. You can also change money at airports however the rates are sometimes less favourable. FAQ 3 - Is it safe in Turkey? As in any city in the world you need to be aware of your own personal space and be alert to pickpockets and petty theft on trams and in busy places. However there is a lower level of personal crimes than in the big cities of America, Europe and Australia and other places in the world. The incidents of drunkenness and attendant violence is certainly lower . 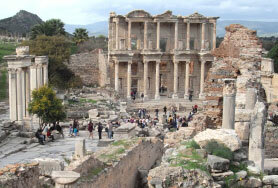 Turkey is a very friendly country and its people are partilcarly hospitable and helpful to Tourists. So often on the street you are asked for cay, or if you need assistance with directions or just a friendly hello. Generally people are extremely warm and hospitable. Recently the issues of bombings in both Ankara and Istanbul have raised the issues of personal safety in public places. Security has been increased since these incidents. The risk of terrorist attack is very low and Turkey has not been affected by the recent events of the Arab uprisings. Turkey is a very large country and the current problems on its borders for example Syria and Iraq no not affect your travel is Istanbul and the rest of Turkey. It is only some border areas namely Antakya and Hukkari that need to be avoided. Other borders are safe and of course these need to be monitored at the time of travel. FAQ 4 - Is there WIFI available? Wi fi is generally available free of charge at nearly all hotels in Turkey (check that there is no cost before you use it). Passwords are usually available at reception on check in. Larger cafes will have wifi available and there are still some internet cafes around for those who need them. FAQ 5 - Should I drive in Turkey? It is safe to drive in Turkey and you will need a drivers license of course and also your passport. Roads are in very good condition around most of Turkey as there has been a lot of infra-structure done over the last few years. Once out of the big cities driving can be quite pleasant . Road signs are Turkish only but tourists sites are normally clearly marked except for the lesser known sites. Istanbul can be very stressful to drive, with crowded and busy freeways and you should always expect the unexpected ! Trucks travel the roads of Turkey at night and it is not generally recommended to do night traveling. This also applies to Istanbul. Intercity bus travel is cheap and the buses are a good way to travel. A host is on board looking after you and sometimes it is more pleasant than vehicle travel! FAQ 6 - How should I dress? 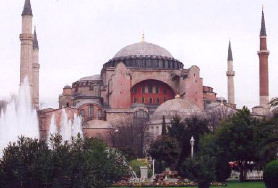 Turkey is an Islamic country and modesty and politeness are much admired. Having said that Turkish people are very tolerant and welcoming to tourists. Common sense in your dressing is advised. When you are entering mosques women need to cover the heads and legs and shorts for men shorter than mid calf are not acceptable also. Always have a scarf handy in your bag for those times when you need it however most tourists oriented mosques supply both skirt covers and scarfs for your head at the door. Mosques are free and westerners are very welcome to visit. In summer months short sleeved shirts and shorts are otherwise acceptable but it is best not to wear brief shorts and tops out of respect. FAQ 7 - What is the tipping regime in Turkey? In Turkey wages are quite a lot lower than in Western countries while it is not mandatory to tip during your tour it is appreciated that if you are happy with the service you have received you should provide a tip at the end of your day or travel with guides and drivers. Here is a guide as to what is an acceptable tip for services whilst you are traveling around Turkey. Restaurants - if you are happy with service and food a tip of 10% is appreciated. Taxis - Round up to the nearest note - taxis should be metered or a price agreed on prior to beginning the trip. Beware of note swapping, this is more likely in Istanbul and not in villages. 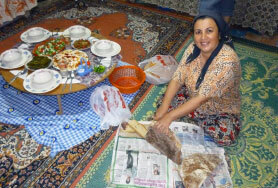 Generally people are very honest and it is unlikely that you would encounter any rip offs in other parts of Turkey! 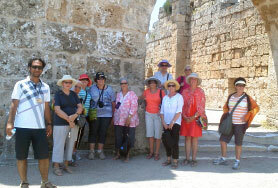 Regular Tours - On a group tour an acceptable tip is around 20 tl perhaps 10tl for the driver. 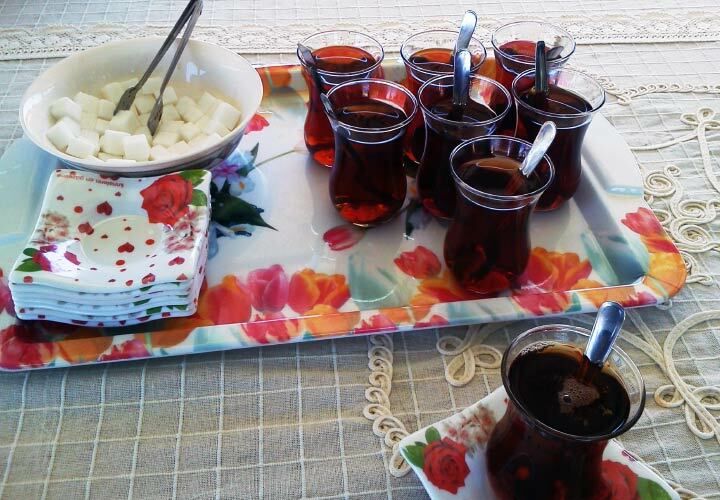 Private Tours - On a private tour a daily tip of between 50-100 TL for a guide is an acceptable tip and you can vary that to the level of your satisfaction of the level of knowledge and guidance. For your driver during the time you are on tour a tip of between 25-50 TL per day is a reasonable tip, and again this should be for safe driving, assistance with baggage and generally looking after you. Transfer Drivers You can provide a tip to the driver of your transfers between places as long as you are happy with skills etc. Longer transfer journeys say 2-3 hours between 25-50 TL is sufficient. 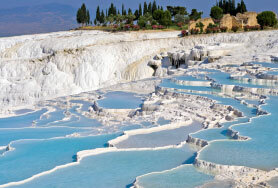 FAQ 8 - When is the best time to visit Turkey? Any time is a good time to visit Turkey! 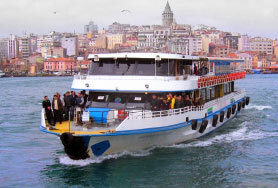 Istanbul is great to visit any time of the year although the most pleasant months are from April through to October. July and August can be particularly hot and humid. It can snow for short periods over the winter months which adds to the mysteriousness of the old city. For best months for the sapphire coast is from May to October and ancient sites are open all year around. 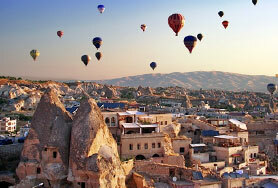 Cappadocia can be visited all year round, although it can snow from November through to March. 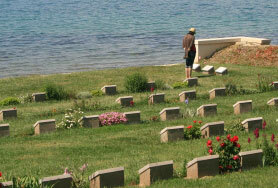 Eastern Turkey is best left for the months of May through to October. FAQ 9 - Do religious festivals affect my visit? Tourism carries on as normal during holidays and public events. Schools and banks close for holidays and weekends but restaurants, tours, hotels and bars all stay open. The two main holidays in Turkey are Seker Bayram which follows the holy month of Ramada and Korban Bayram where families who can sacrifice a lamb, cow or coat to be shared among family and needy people. weeks after the former. Dates change each year on the Muslim Calandar and in 2015 the dates for these holidays are 17th July and 23rd September. At both these times most Turkish people have 5-7 days holiday and there will be traffic chaos and busy times for airlines as people return to their villages to be with family. There are other special days on the Turkish calendar such as Independence Day, Childrens Day and Republic Day just as in other countries. FAQ 10 - Do I need an adaptor? Yes bring an adaptor with you although they are available at some shops in Istanbul. The two pronged adaptor is for 240 volt plug. Bring you phone charger also. FAQ 11 - Should I drink the water? Best to stick to bottled water like most Turkish people do - it is widely available and costs up to 1tl for a small bottle and 2-3 for a large bottle. In some places mountain water can be drunk but best to be safe than sorry. FAQ 12 - What if I fall ill during my visit? Turkey has a very good hospital system and if you were unfortunate to become ill doctors and hospitals are readily available to visit Many doctors are trained in the US and Europe and are of a high standard in the private system. Chemists (Ezcane) have a wide range of drugs available at low cost and generally without a prescription! FAQ 13 - Is English widely spoken? Turkish is a language like no other – other than perhaps Korean or Finnish! Most people in tourism sector in the Old City speak some English and in other areas it is sometimes difficult to find anyone who speak English. Regardless people will always try to help you. It is nice to have a few basic words as it is always appreciated ! SMILE – its amazing how a smile can cut across cultural boundaries! And try a few Turkish greetings to break the ice!